United States Department of Labor (DOL) business audits are rising due to stepped-up enforcement of wage, hour, and recordkeeping laws by the DOL and Obama administration. The thought of a government audit is painful for most; however, the actual process itself and the result — whether your business will face fines and penalties for non-compliance — need not be painful. Yesterday morning I walked out of a DOL “closing conference” — a meeting the DOL calls with business management/ownership at the end of an audit to announce its findings — with a deep sense of satisfaction. The closing conference was a complete success: no fines or penalties. Why? I am convinced that my client “got it right” by following the guidelines discussed in this article. The number one cause of DOL audits is employee/ex-employee complaints of alleged unlawful conduct. Complaints almost always relate to (a) unpaid wages, including overtime, (b) misclassification of employees as exempt from overtime requirements, (c) misclassification of workers as independent contractors, and (d) recordkeeping violations. The best way to deal with a potential problem is to avoid it in the first instance. Avoid DOL audits by hiring good people, managing them well, and treating them fairly. Most audits go well because the subject business complied with the law. Previous HR Law Insider editions explain what it takes to do so. Whether it comes to paying overtime or properly classifying employees, follow the law and avoid white-knuckling it on audit day. Typically the DOL will call the company’s main office and send a letter to announce its audit. From there things move very fast — the auditor may say that she/he wants to inspect company records at the company’s business that day or the next day. This is often very unsettling to unprepared businesses. Here is a plan: First, assign one owner or manager to handle a DOL audit if it occurs; have a backup person available if the owner or manager is on vacation or otherwise unavailable. Second, call legal counsel immediately, meet as soon as possible, and, as a team, develop a specific strategy to defend the audit. This strategy will include how to deal with any, issues (i.e. potential violations) you anticipate may surface. Being nice to an auditor goes a long way. Conversely, an uncooperative or rude attitude toward an audit or auditor increases the chance of an adverse result. Being nice does not mean caving in on unreasonable requests, which do occur; nor does it mean accepting DOL findings that may not be supported by the facts or law. It means working cooperatively with the DOL agent while protecting your company’s interests. Virtually every auditor I have worked with has allowed my client and me more time (than a day or two) to prepare for the initial meeting (opening conference) with the auditor. Do not rush into that initial meeting and document production if more time will allow you to be better organized and prepared. The DOL agent will likely interview managers and employees immediately after the initial conference. This will likely occur at the employer’s place of business. The “process” can seem very invasive and intimidating at times. Discuss interview preparation with legal counsel. Counsel will advise you what types of questions to anticipate and how those questions relate to wage and recordkeeping laws (and potential violations). This preparation significantly increases the odds of achieving a positive result for the employer. Counsel can — and should — be present at all manager and supervisor interviews. Counsel cannot be present at employee interviews; this is another reason to treat employees well and follow the law: they will not be motivated to throw your business under the bus in their interviews. The DOL presents a list of documents to be produced with its initial letter commencing the audit. 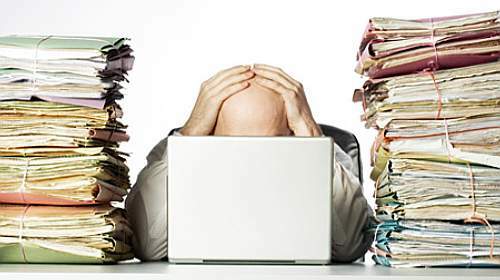 The list is often onerous — particularly if the employer’s records are not well kept, scattered, or unorganized. Assign one person to assemble the documents. Then review the documents — category by category — with counsel to ensure compliance with the requests and that there are no extraneous documents. Including documents and information that were not requested will lead to wasted time and, possibly, additional issues. There are three reasons not to lie or hide the truth: (1) it is unlawful; (2) it is unethical; and (3) those inclined not to care about nos. 1 and 2 should know that it is quite possible that, based on a complaint, the DOL already has specific knowledge of an unlawful practice; lying about the practice or hiding it may cause the DOL to determine you wilfully violated the law and are obstructing their investigation, resulting in an unhappy auditor and potentially significant fines and penalties. Audits have an upside for attentive businesses. By listening to an auditor’s advice and comments, businesses (and their counsel) can better understand what is important to the DOL, any enforcement trends or priorities, and how to stay off the DOL’s proverbial radar going forward. The self-examination which results from a DOL audit often allows employers to identify related business problems or areas of non-compliance. For example, your business might discover that its handbook is out of date, that management is doing a poor job of supervising and training employees, that morale is poor, that there is no consistent and identifiable method of disciplining and terminating employees, or that it may be a joint employer with a related or affiliated business. Just as you would use a physical exam to clean-up your diet, physical training, and lifestyle, use a DOL audit to clean-up aspects of your business identified as unhealthy. In other words, kill two birds with one stone. The most heavily penalized businesses are the ones that the DOL determines knowingly fail to comply wage and hour laws. Failing to correct issues identified in a DOL audit can bring significant penalties. So too can employer “tricks” to evade the payment of overtime (e.g. “finessing” records to make it appear a worker who worked overtime did not; keeping time off the books; intentionally misclassifying workers to avoid paying overtime or providing other required benefits). Do not tempt fate: correct any items noted by the DOL, who may just decide to re-visit your company to ensure compliance with the law. 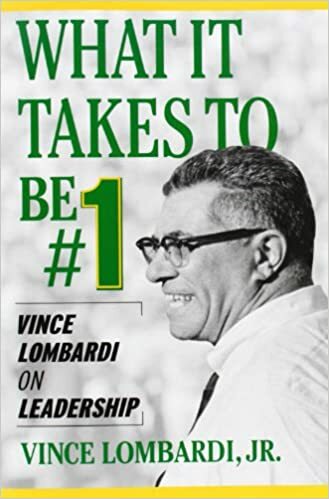 Speaking of the man himself, I am on my fourth reading of a Lombardi book — “What it Takes to be #1.” The book is less about football than it is about how to build and sustain a top-notch organization (and there are some excellent football vignettes in the book for any fellow gridiron junkies). Contact me if you would a courtesy copy of the book. I believe in spreading Lombardi’s “gospel” that much, and thoroughly enjoy comparing notes with similarly inclined leaders. Are you a leader? Undoubtedly. Lombardi observed that we are all leaders in one way, shape or form (family, business, friend, counsel, etc.). I could not agree more.